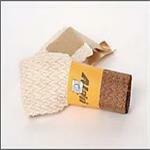 Replacement round cotton lamp wick for Aladdin Lamps Models 7, 8, 9, 10, 11, or 12. The metal tabs on this wick can be removed to fit Aladdin Model 6 burners. 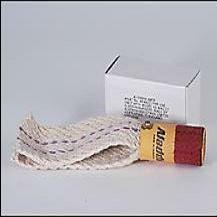 The Aladdin #N198 Replacement Wick has an average burn time of 100 hours. For use with clear, K-1 kerosene only. We offer a price break for purchasing a case at a time. Please use the pull-down menu to select your quantity. www.p65warnings.ca.gov.